Youngest participant, Christopher Piccolo at his train display detailed with buildings and mountains. 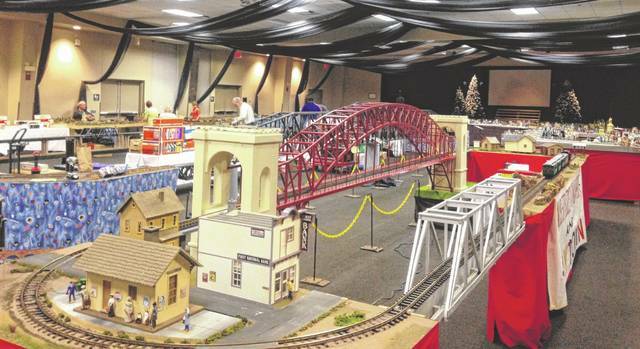 An overview of just some of the villages, bridges and locals you will see at the Train Show. This display is set up by the Train Show’s oldest participant. The 38th annual Winter Wonderland Train Show is on track to begin Saturday and continue through Sunday at the Friends Community Center in Portsmouth. Local residents began Wednesday morning and continued through Friday evening, setting up of their train sets. Displays include the complete train landscape and, in some cases, entire scaled communities including people, buildings including area restaurants, trees and more. Many of the participants have been along for the ride all the years but for Christopher Piccolo, age 10, he is returning after his own display’s debut last year. “That one is mine,” Piccolo exclaimed as he pointed to a smaller display setup next to the one he shares with his Papaw. Mike Evans, Papaw, has 51 years experience and has been bringing his grandson to this train show since he was three years old. Another veteran train enthusiast critiquing his display on Friday afternoon was Mark Harris, owner of Market Street Hardware, Toy Town and Antiques located in Bonneyfiddle District of Portsmouth. He recalled the train show when it was at McKinley school many years ago. He said he inherited his two displays along the years from two gentlemen who displayed at the original location. SOMC will have the food station open for purchases as well as a raffle for a train display to the lucky winner. So whether you are in market for train accessories, a model of your own or just taking in the colorful sights and sounds of the active displays this show is sure to please. Come on down and watch the trains as they move chug around the tracks, over the bridges and around the bends of their scenic routes and get a hot lunch on Saturday 10-6 p.m. and Sunday noon-4 p.m. Admission to the Train Show is $2 per person and free to children three years of age or younger. 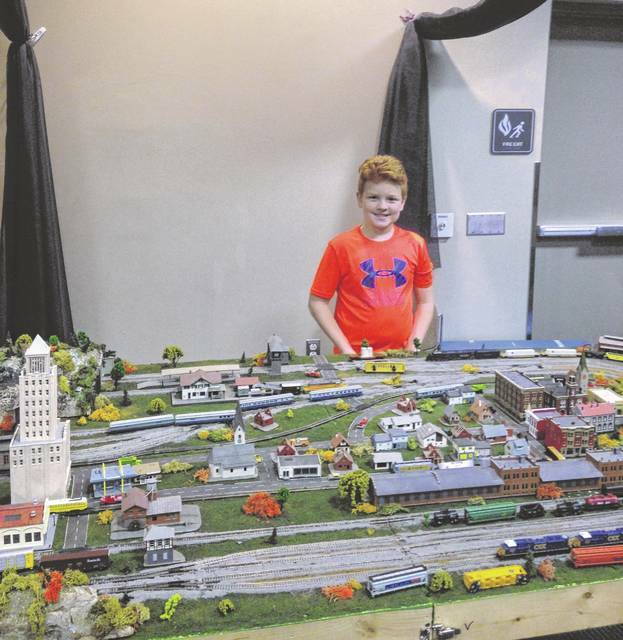 https://www.portsmouth-dailytimes.com/wp-content/uploads/sites/28/2018/11/web1_boy-at-train-show.jpgYoungest participant, Christopher Piccolo at his train display detailed with buildings and mountains. https://www.portsmouth-dailytimes.com/wp-content/uploads/sites/28/2018/11/web1_train-show.jpgAn overview of just some of the villages, bridges and locals you will see at the Train Show. 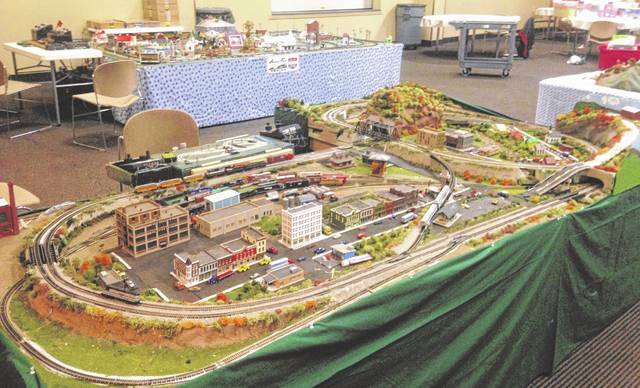 https://www.portsmouth-dailytimes.com/wp-content/uploads/sites/28/2018/11/web1_train-village.jpgThis display is set up by the Train Show’s oldest participant.